James Earl Jones Sr., 88, of Poland, passed away on Sunday March 24, 2019. Jim was born March 7, 1931 in Youngstown, the son of Edward S. and Mabel Jones. 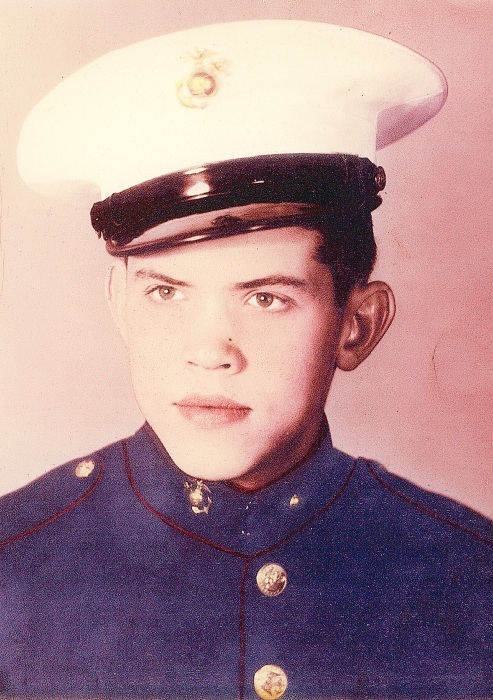 He joined the U.S. Marine Corps at the age of 15 and served during the Korean War. He married the “love of his life” Donna Hobart on June 14, 1950. Together, they raised a son, James E. Jones Jr. , also of Poland. After his retirement as a maintenance foreman at Reactive Metals in Niles, Jim and Donna traveled the world, visiting 21 countries including Egypt, Turkey, Ireland, Hungary and Greece. His last trip was a 6 week solo trip trek to India in 1995. Jim’s post-retirement activities included taking classes at Youngstown State University. His love of learning included reading all manner of subjects from philosophy to his granddaughter’s medical journals. Additionally, he regularly completed crossword puzzles, even enlisting help at family dinners. Jim had a knack for home renovation and could fix anything. He enjoyed working on his rental properties as a carpenter, electrician and plumber. Besides his parents, Jim was preceded in death by his brother, Roy. He is survived by his wife of 68 years, Donna; his son, Jim Jr.; daughter-in-law, Sally; his granddaughter, Dr. Jean Blair (Richard) and his great-grandchildren, Richard and Elly Blair. A private celebration of Jim’s life will be held at a later date. Arrangements are by the Davidson-Becker Funeral Home in Struthers. Please visit www.beckerobits.com <http://www.beckerobits.com> to send condolences.